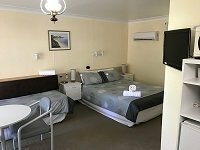 Whether you’re interested in a weekend getaway or an extended weeklong stay, the Ballarat Budget Motel at Woodmans Hill is just what you have been searching for. 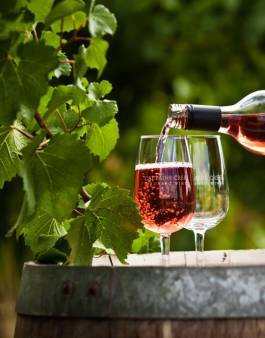 Located on the eastern side of Ballarat, not too far from the Western Freeway, this Ballarat accommodation offers the perfect base for those wishing to explore Gold Rush country. We can accommodate couples, families and groups with ease. 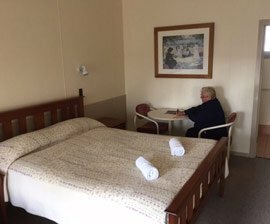 We have four affordable options for motel accommodation in Ballarat, including: standard rooms (sleeping 2), deluxe rooms (sleeping 3), standard family rooms (sleeping 5) and deluxe family rooms (sleeping 4). No matter which room type you select, you are guaranteed a comfortable stay with access to all of the creature comforts of home. For even more enjoyment, we recommend our Bed & Breakfast package. This includes accommodation in any of our rooms plus continental breakfast provisions for each morning of your stay at Ballarat Budget Motel @ Woodmans Hill. 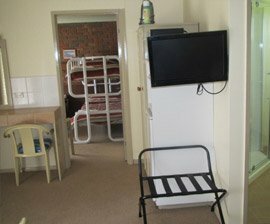 Our rooms are self-contained (microwaves can be made available upon request), so you will have everything you need to prepare a hearty breakfast. 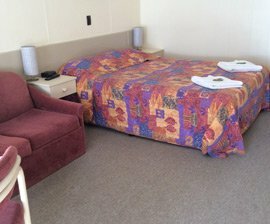 During your stay at our motel in Ballarat, you will be able to enjoy a number of amenities. These include ample off street parking (including plenty of room for coaches and other large vehicles), guest Laundromat, BBQ and playground area, continental breakfasts delivered to rooms, DVD and VCR hire (plus in-house movies), and limited office services. 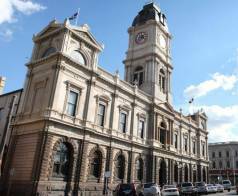 One of the main reasons that visitors choose accommodation in Ballarat is the sheer number of attractions in the area. 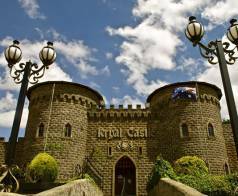 Some of our favourites include: Sovereign Hill, Blood on the Southern Cross sound and light show, Kryal Castle, the Ballarat Wildlife Park, Tangled Maze, Museum of Australian Democracy at Eureka (M.A.D.E), and the Art Gallery of Ballarat.